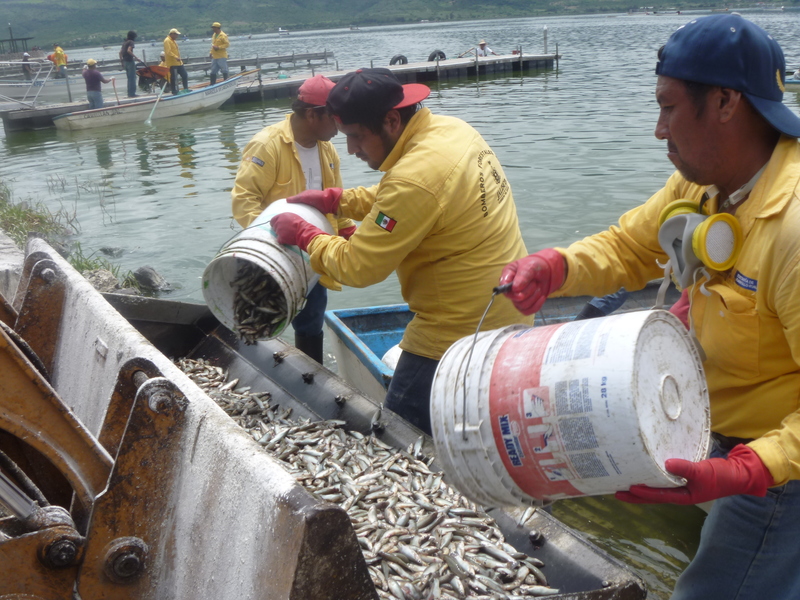 Millions of dead fish mysteriously rose to the surface of Lake Cajititlán in western Mexico last week. CAJITITLÁN, MEXICO—Gaze across Lake Cajititlán here in western Mexico and normally you’ll see fisherman cutting their nets and tourist boats gliding over the blue-green water. But that picturesque scene turned grim last week when more than 4 million dead fish suddenly surfaced, turning the water a sinister shade of gray. Click here to read the entire story by Jan-Albert Hootsen and myself for Vocativ.